This service is for our free diagnosis that is completed within 24 hours of receiving your computer. For liquid damage computers we start with our free 24 hour diagnosis. 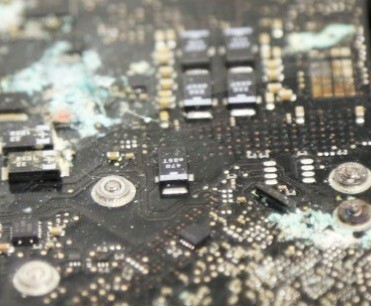 If the logic board has corrosion present, we will recommend our $149 liquid damage cleaning service. If there are other issues with the computer like a bad keyboard, we will be able to provide a quote for that once the free diagnosis is complete. Please note if no service is approved, there will be a $15 charge to ship the computer back to you. If you select the $25 shipping method (we send you a box with a prepaid label for shipping the computer in), we will include the shipping back to you.